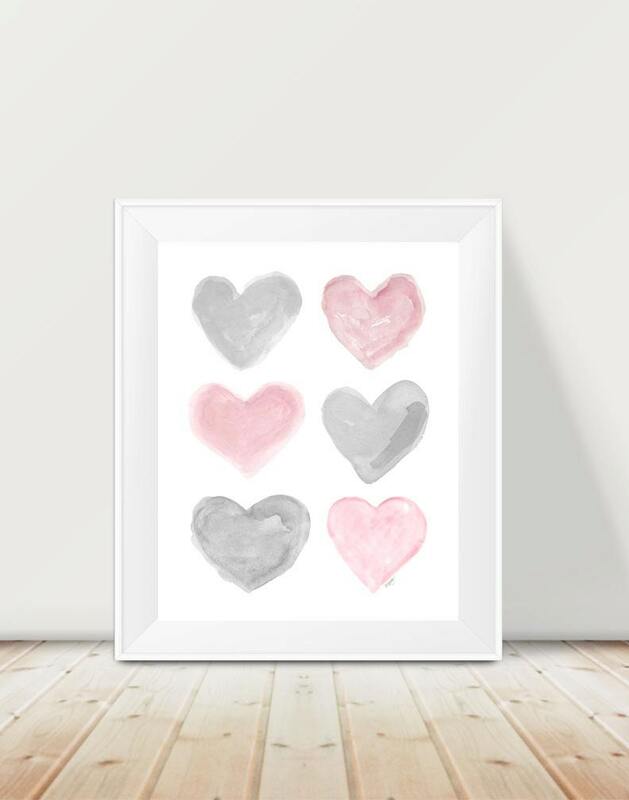 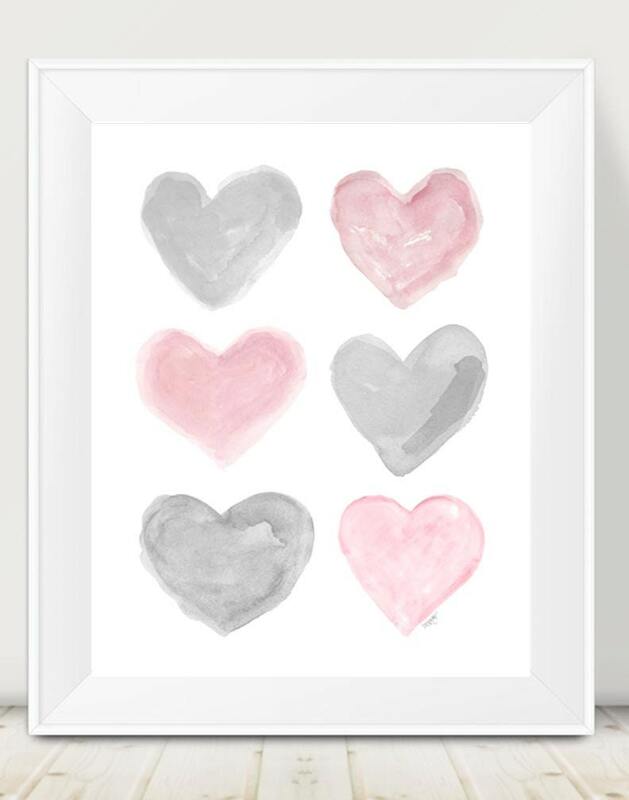 An ethereal collection of romantic pink and gray tinted watercolor hearts. 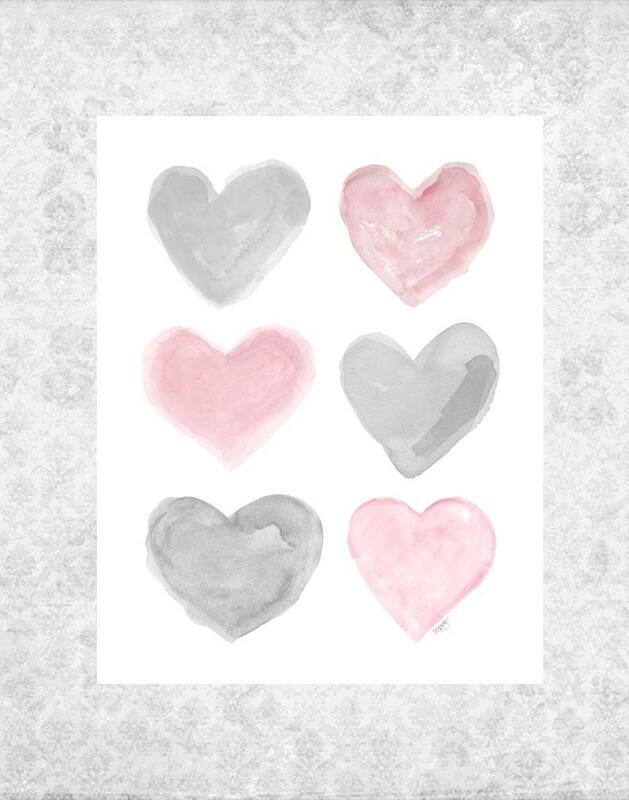 An 11" x14" art print created from my original watercolor paintings. 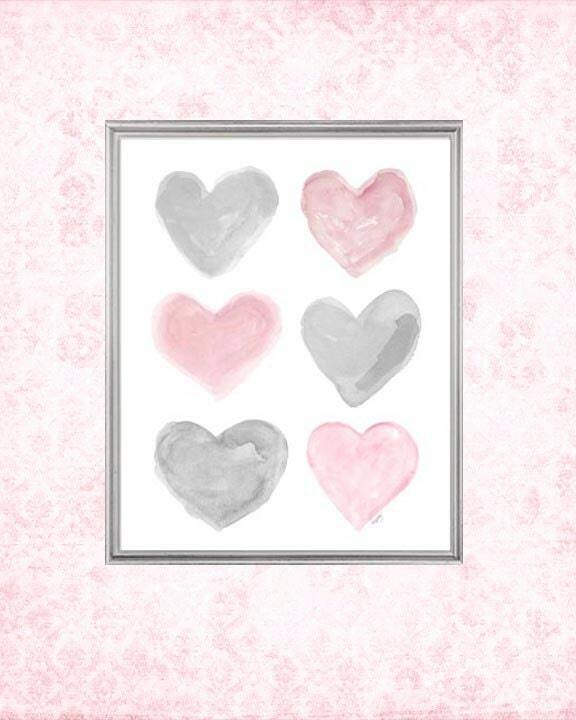 Lovely for a nursery or girls room. 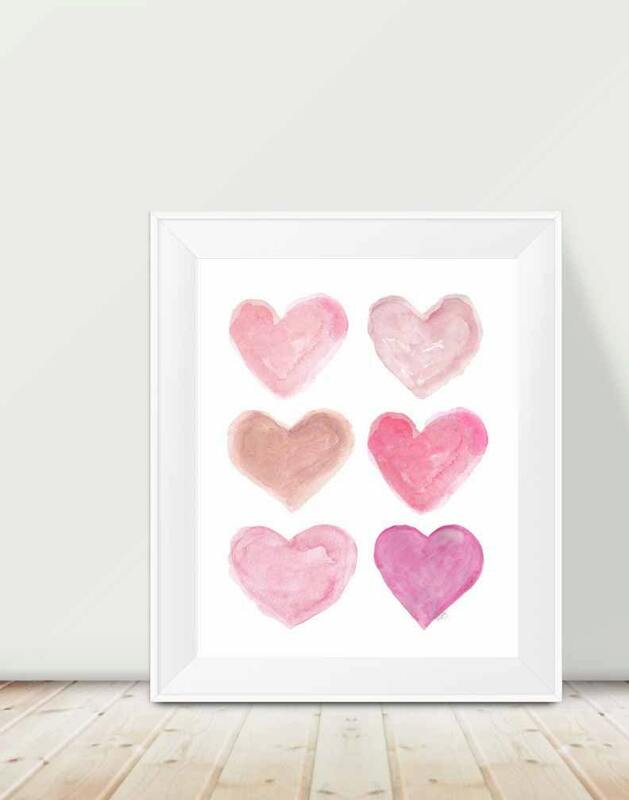 Available in two pink colorways.